Trade power in 13 markets as well as adding specific related services such as compliance, data or courses. Use the map to find what we offer in our markets or click on the country you are interested in. Trade day-ahead or intraday through our trading platforms or simply connect to our APIs. We offer hourly products in intraday with trading close 60 minutes prior to physical delivery. Customers may also find efficient and transparent reporting and compliance through our Compliance services. Sweden is the highway for electricity south to Denmark and central Europe. We deliver efficient and transparent reporting and compliance through our REMIT Transaction Reporting Services and Urgent Market Messages. Nord Pool has the best knowledge of and solutions for our Finnish customers. Our delayed intraday gate closure time in Finland gives additional 30 minutes of trading time. You can now also trade on the intraday market in the Netherlands. Contact us to set up your portfolio. We are also proud to be appointed NEMO (Nominated Electricity Market Operator) where we will open up for day-ahead markets. Customers will benefit from hourly, quarterly and half-hour products in intraday and trading close up to 0 minutes before delivery within each TSO zone. As the only power exchange in Europe, we offer continuous trading from 08:00 CET the day ahead of delivery. In addition, we will operate full power markets and day-ahead in 2019. 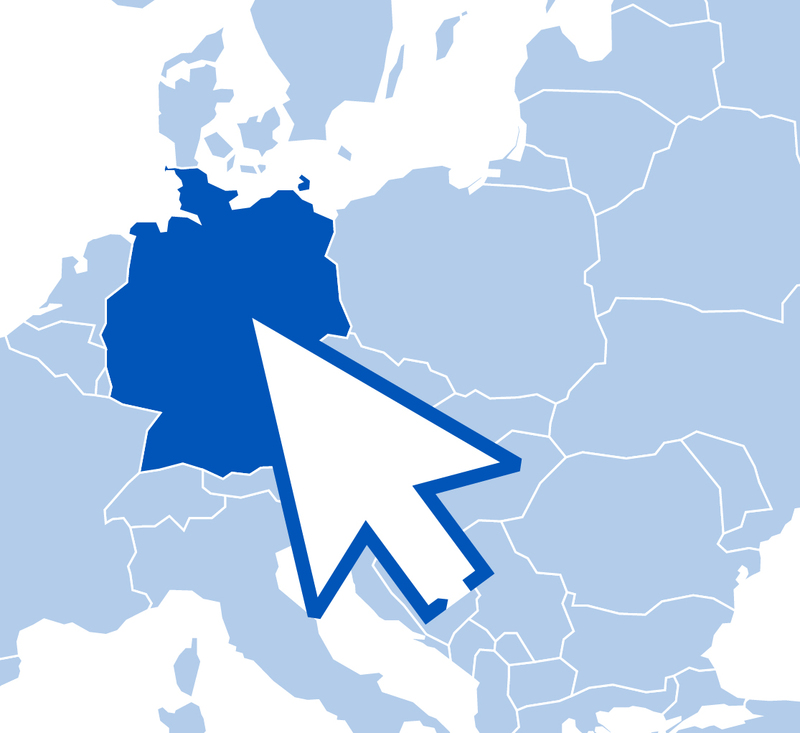 You may also visit our German mini-site to find out more about how we may assist you. Market participants have exclusive right to trade until 30 minutes before operational hour (Latvia, Estonia, Finland). About 94% of electricity consumption is traded via Nord Pool, and part of the Baltic common Balancing area with shared emergency reserves. About 99% of electricity consumption is traded via Nord Pool, and part of the Baltic common Balancing area with shared emergency reserves. Electricity system with highest interconnection capacities with neighboring countries. About 100% of electricity consumption is traded via Nord Pool, and part of the Baltic common Balancing area with shared emergency reserves. We are proud to be appointed NEMO (Nominated Electricity Market Operator) in Ireland and Northern Ireland. Customers can trade in power spot markets, day-ahead and intraday auctions and continuous. We also offer services on API, data and transparency reporting and learning tools to benefit our customers. We are bringing our “straight-through” approach; Nord Pool handles trading, settlement, invoicing and reporting under one roof. You can now also trade on the intraday market in France. Contact us to set up your portfolio. We are proud to be appointed NEMO (Nominated Electricity Market Operator) in Luxembourg. You can now also trade on the intraday market in Austria. Contact us to set up your portfolio. You can now also trade on the intraday market in Belgium. Contact us to set up your portfolio. The Croatian power market was opened in 2016 together with Cropex. Nord Pool provides the day-ahead and intraday systems for Cropex to run the markets. The Bulgarian power market was opened in 2016. Nord Pool provides the day-ahead systems for IBEX to run the market, and the intraday market is in the delivery process as well. We are proud to be appointed NEMO (Nominated Electricity Market Operator) in Poland. We are proud to be appointed NEMO (Nominated Electricity Market Operator) in 15 European countries. Nord Pool delivers power trading in the Nordic, Baltic and UK day-ahead markets. With our web based trading platform Day Ahead Web we provide customers with a trading platform they can trust all day, all year. Always up-to-date with zero installs and an easy and flexible user interface. Integrate with our Day Ahead API to automate your trading, and seamlessly submit orders and fetch your trade results. Nord Pool offers continuous intraday trading of power products with physical delivery cross the borders of 12 countries. These encompass new geographic trading areas and a larger intraday liquidity pool. In addition, we offer trading locally in the UK on the same trading platform. Nord Pool runs the leading power market in Europe, and we offer day-ahead and intraday markets to our customers. The day-ahead market is the main arena for trading power, and the intraday market supplements the day-ahead market and helps secure balance between supply and demand. Delivering products and services that are simple, efficient and secure is at the centre of what we do. Nord Pool is now actively preparing for the expansion of our day ahead offering into CWE. Members can already now start to sign up for market access ahead of the official go live date. Our people work hard every day to make a difference to our customers, and we often hear that they value that effort and relationship. In our second interviews with our Market Managers, you will get to know a little more about Stig and how he works with customers to solve problems. Our consulting services in for example the Philippines and Vietnam support the implementation of an electricity Market and assess the legal and technical aspects of implementing an electricity market. See more and find other recent projects. As part of our commitment to bringing simple, efficient and secure power trading to central Europe we now have a dedicated web presence in German.